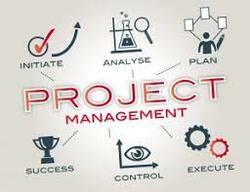 Leading Wholesaler of project management software from Noida. When managing a large project, each member is designated with individual tasks in the team. To make sure everyone is on the same page, a project management solution helps in simplifying team collaboration. When a member has inquiries or concerns, he/she can immediately get the right response through communicating with the team internally—with the right people in the right project—without looking for other sources. This reduces time lost in searching for answers. It also optimizes sharing of documents, timelines, and status updates to notify everyone of important information such as how much work is done and how much is left to be finished.